“These sharp practices have been reportedly going on for a long time and a reason why many assume oil companies are complicit in oil theft. In retrospect, it said the federal government in 2016 sued Shell Petroleum Development Company of Nigeria Limited (SPDC) and its allied Shell Western Supply and Trading Limited for about $407 million as part of its battle to recov­er all monies gotten through undeclared and under-declared lifting for oil between 2013 and 2014. “Data from Nigerian export records were reconciled with shipments of oil into the US including its bills of lading, oil vessels name used for the shipment, date of arrival at the destination ports and ports of origin. Explaining government’s 2016 lawsuit against SPDC, the report said: “The comparison showed that the crude oil shipments declared to have been exported from Nigeria was less than what was declared to have been imported into the US, using the same shipment by the same vessel on the same bill of lading. 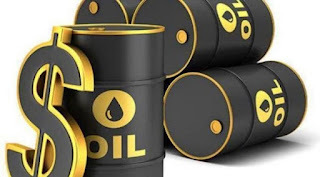 Further on potential volumes of oil stolen from Nigeria, it said, “Assessments on the volume of oil theft vary vastly and most available figures are estimates. Several reports estimate that one barrel out of every ten produced is stolen, while anecdotal evidence suggests that up to 50 per cent of product flowing through pipelines could be lost. “Since 2007, Nigeria’s largest oil producer, Shell has only had sabotage and theft related spills across all of its global operations occurring in Nigeria. Stolen crude is typically exported overseas or refined in artisanal refineries for local consumption. “Losses due to oil theft and pipeline infractions average at up to 300,000 barrels per day for the first quarter of 2018, with up to 200,000 of this potentially stolen while the remainder is lost to shut-ins as a result of pipeline damage, down time and deferred production. “The impact of such large losses is immense and translates to severe revenue shortages for the federal government of our estimate of N995.2 billion per annum. The security costs, environmental damage and loss of investments in the region as a consequence of oil theft are estimated at $55 billion over the last decade.